As flames crept into the Christchurch Adventure Park, all the hype and excitement that surrounded the venture was swiftly replaced by fear and sadness. What was regarded as the most exciting development in the local community was abruptly taken away after only eight short weeks. On Monday, February 13th, a handful of fires were reported around the Port Hills, one in Early Valley and one on Marleys Hill, just above the Adventure Park. By Wednesday the fires had spread to about 2000 acres. Due to an unfavourable wind change the Marleys Hill fire began to make its way down the valley in which the park was situated, threatening the lift, the base buildings, the café and all the infrastructure opened only weeks ago. By Thursday, the fire had more than doubled in size again, to over 4900 acres. Christchurch Adventure Park after the flames were put out. Fire crews stood their ground bravely and protected what they could, doing everything in their power to limit the damage and contain the fire’s spread. Aerial firefighting was only possible during daylight hours, making for long nights in the community. People would line the nearby roads in disbelief as they watched all the areas that we ride our bikes, slowly igniting. Burnt, black and dead. After the fire. It took 66 days before the fire was officially declared extinguished. Now, nearly ten months since the fire stole our playground, it’s been returned to the riding community of Christchurch thanks to a lot of hard work, and many shovel hours. But what is left in the wake of the fire? Nation takes in the new uninterrupted views in the absence of the pine trees. 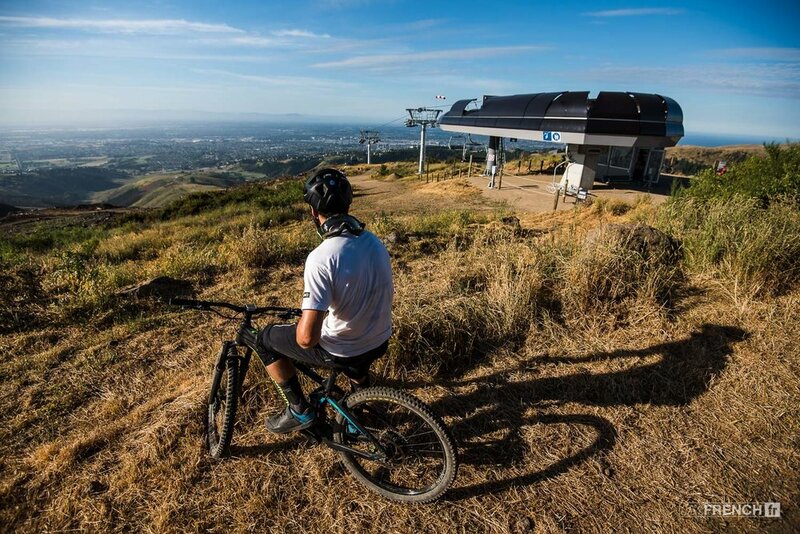 There has been plenty of speculation flying about, regarding the bike park. Rumours that it wouldn’t open again. Rumours that it would, but in a state of total devastation. Rumours of lawsuits and internal struggles. However, despite all the rumours and speculation, the team pulled together and managed to rebuild the park against the odds. 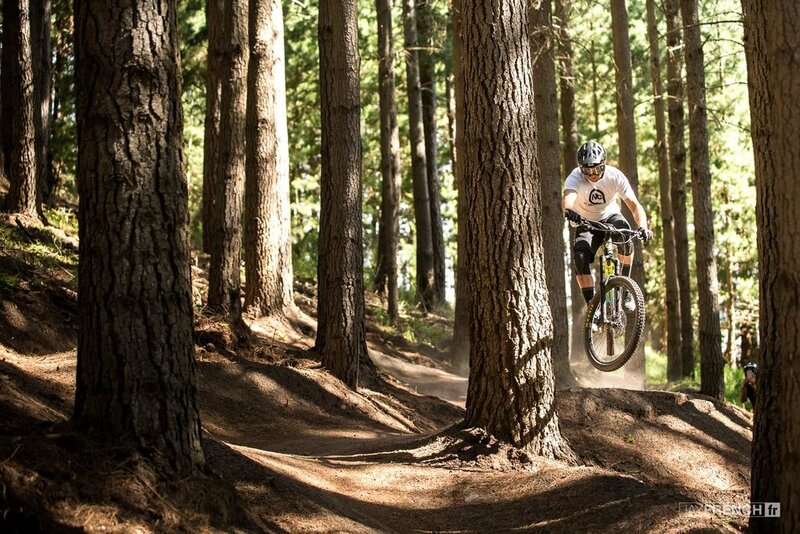 Throughout the New Zealand winter, they worked away building new tracks, salvaging what they could of existing tracks, pulling a new lift cable through the mud and slop, and presenting the general public with a working park in a very tight timeframe. What they’ve accomplished is genuinely impressive. The top station now open to the views, as Joe gets ready to disembark. As it stands now, the park is back up and running again, 7 days a week, currently from lunch time until 7pm. The lift line was repaired, refitted with a new cable and is now back to its original job of hauling people up the hillside. The café is open again, and better than ever, with a wider range of things to eat and drink, and all the shops and services are back up and running too, including the Zipline, bike servicing, and coaching also. The fires devastated the Radiata Pine that covered the park, the land originally used exclusively as a commercial forest. To make the land safe again, and reduce ongoing fire hazard, the remaining burnt or vulnerable trees had to be removed. Extensive logging was undertaken, with logging roads being built across the park, dissecting what was left of the original trails. Scrub and undergrowth is now taking back the original trails and covering most of the burnt ground. The silver lining to the removal of the trees is the sudden appearance of amazing views both to the Christchurch side, and the Lyttleton side of the park. Uninterrupted vistas can be taken in from anywhere in the top 1/3rd of the park. That’s all well and good, but what about the riding? So, this is where it gets tricky. A lot of opinion is based on perception and expectation. 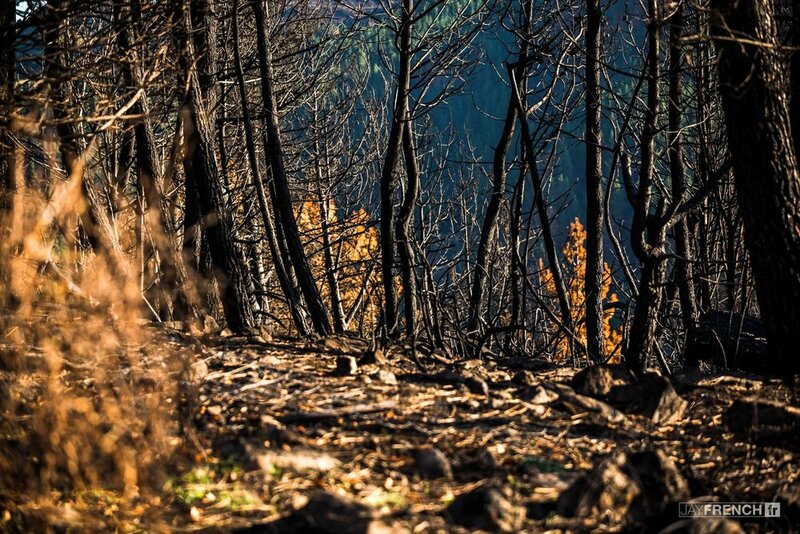 I had heard such horror stories of destroyed trails and scorched earth, that my expectations were pretty low. When I got in there, I was pleasantly surprised at how much riding had been made available and how many trees still stood. There are currently 3x main trails, not counting connecting trails, traverses and the likes. 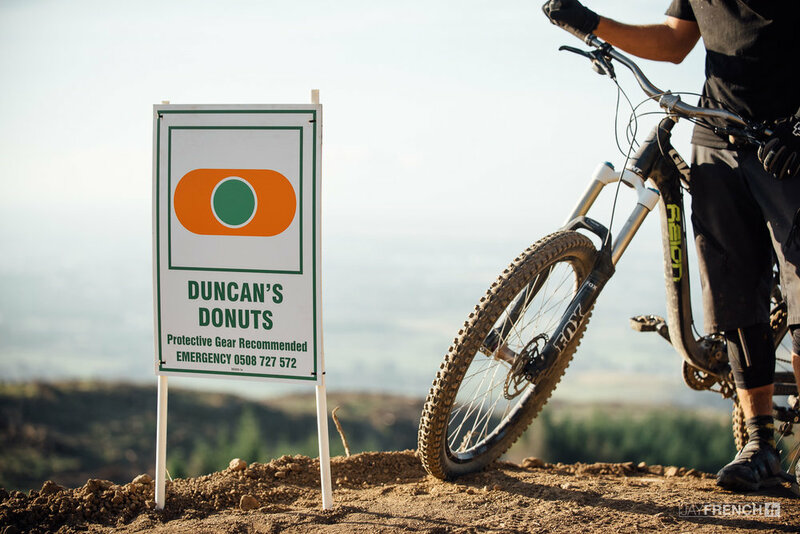 Dropping in to 'Duncan's Donuts'. First off there’s the Green track, 'Duncan's Donuts' (or so the sign said) the starting place for new riders and those first venturing up the hill. With the trees all gone, the view from this track becomes pretty spectacular. 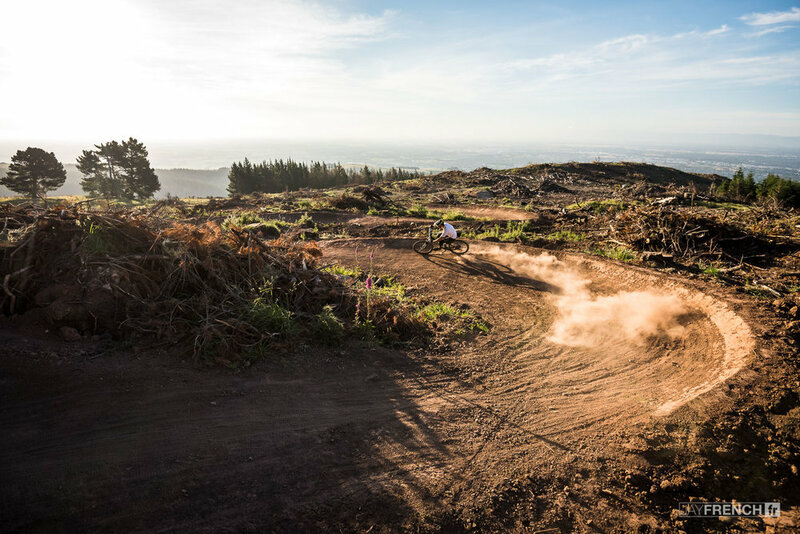 As you ride down, a panoramic view of Christchurch, Pegasus Bay and the Canterbury Plains fills your vision over top of the beautifully crafted berm/bowl top section. However, it’s a long way down after that section, and requires a fair bit of pedalling. Not really suitable for a seasoned downhill bike. Joe Nation figures out the new Connector trail. Next, we have the new trails. Situated on the other side of the Valley (the Dyers Pass side for those who know the area). These trails comprise of a blue flow trail and a black trail. But, before we look at those, we need to get there. 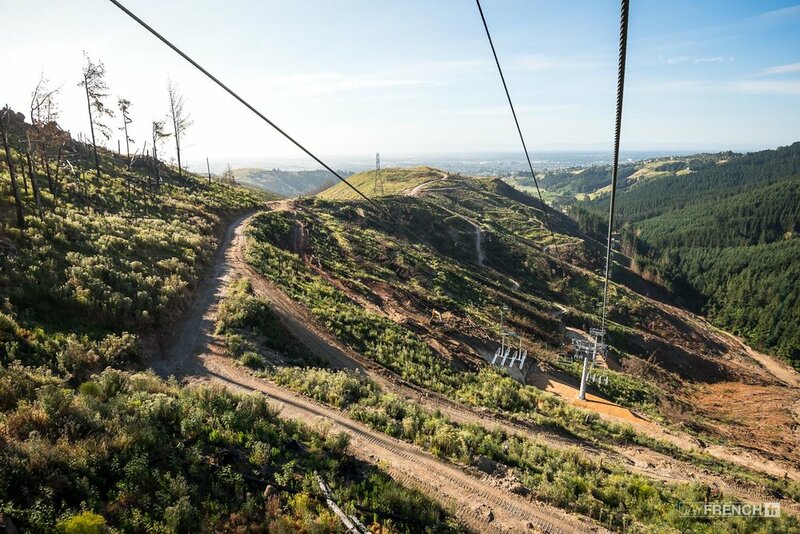 The build crews have crafted a connecting trail from the top of the lift, back towards Lyttleton, merging onto the lower section of the ‘Flying Nun’ and then joining into ‘Choir Boy’ which, to be honest, wouldn’t be missed if a new trail was built to replace it. After ‘Choir Boy’ it’s a flat traverse across a fire road and then you end up at the new trail head. This is where I felt all the frustration and the apprehension melt away. Before me sat a fork in the road, one way enticed me with features, jumps and gaps. The other beckoned with flowy goodness threading through the pines which stood unharmed on this side of the valley. There’s a welcome amount of green present around these trails too, even in the dry conditions. First up it was the blue trail ‘Loess’ which reminded me of something I rode in Squamish. Wide, fast, and littered with features to keep everyone entertained, regardless the level of rider. I have a sneaking suspicion that this might be the favourite track currently open. Joe Nation found plenty of gaps, new lines and fresh takes on the trail, even on his first lap. As you can see by the images, he was having a blast. The black trail ‘Karma Sutra’ levelled up again, and gives those with more ability, something to play on. 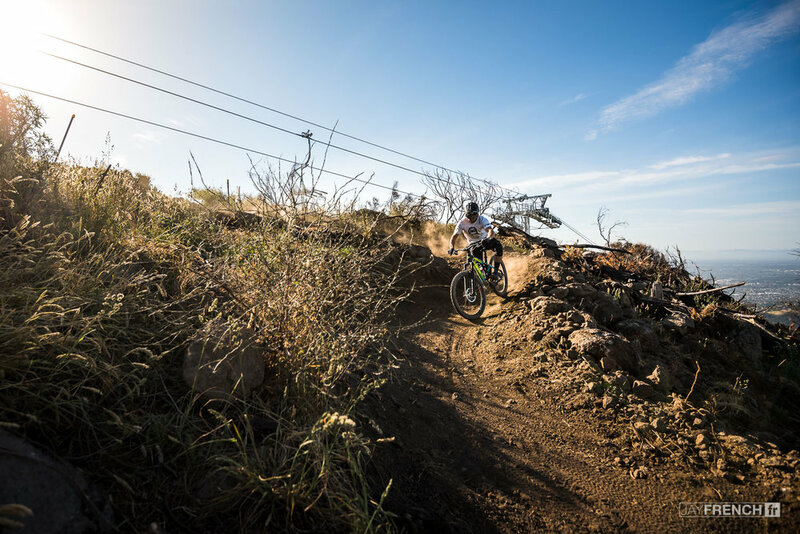 Gaps, rocks, and an increase in overall steepness make this trail reminiscent of some of the original Worsleys tracks that the Adventure Park was built on. Joe Nation gets comfortable in the new corners. The good thing about the extended traverse, is that it might put some lift riders off, keeping these new trails a little fresher. 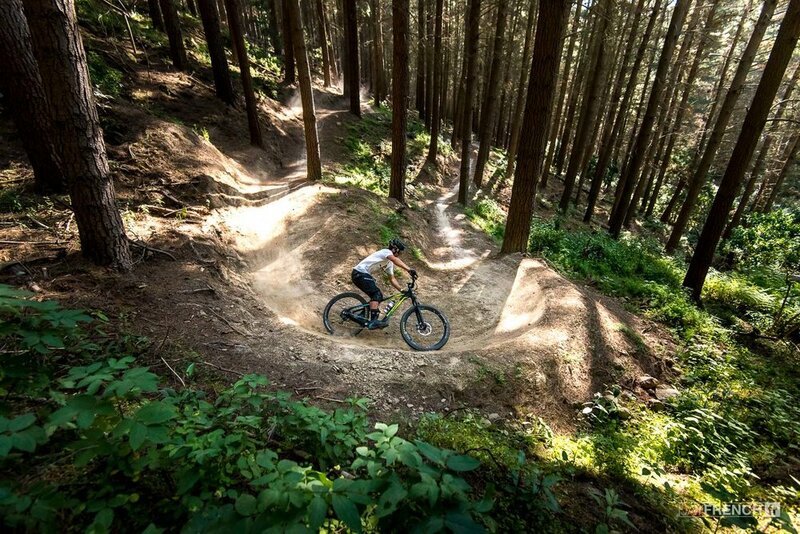 However, in saying that, it’s now more tempting than ever to find ways to session only the new trails. Last runs down the green trail as the sun sets. The Adventure Park crew are still hard at work building and restoring trails, with hope to have another trail open by Christmas, and another early in the new year. This is promising news, especially for those who purchased annual passes prior to the tragedy. The next few months will be especially important for the Park as a business as they look to recoup losses and gain a steady footing back in the market. They’ll be looking for some nice smooth sailing for a while, and a return to normality. Hunter Paull rides off into the sunset down the fresh section of 'Duncan's Donuts'. So, will the public flock back to the park like they did originally? 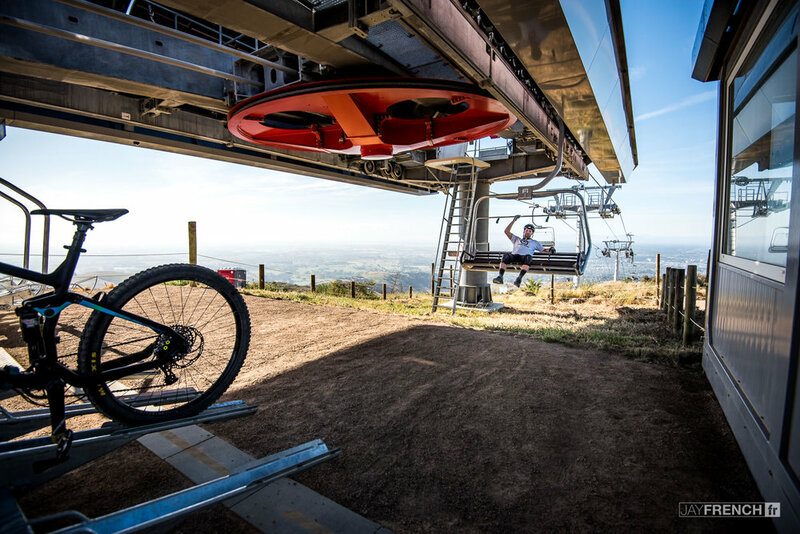 The prices have risen slightly since the opening earlier this year, this, coupled with a smaller selection of rideable terrain accessible, has meant that there aren’t as many local riders reaching for their wallets just yet. All eyes are on the park crew to see what they can do next. The rebuild was no small feat, but there’s still a way to go. If they made it through everything that was thrown at them throughout 2017, then weathering the next storm should be a breeze for the battle-hardened staff. We’re looking to them with anticipation for what the future could bring. Perhaps now I should be creating a savings account so that when the price vs offering boat stabilizes, I’m ready to jump aboard. Filmed before the fires, Rupert Chapman shreds Christchurch Adventure Park, here's to getting the park back on it's feet!